The first ever study of multi-faith spaces in the UK undertaken by the Universities of Liverpool and Manchester observed a mushrooming of multi-faith facilities over the past 10 years in places like airports, universities and hospitals. They are also increasingly common in businesses, football stadiums, shopping centres, schools and colleges. Funded by the Arts and Humanities Research Council (AHRC), the team from Liverpool and Manchester Universities have visited over 200 multi-faith spaces (MFS) to date. Though charting the emergence and scope of these spaces is difficult as many are concealed from public view they estimate over 1,500 exist in the UK. 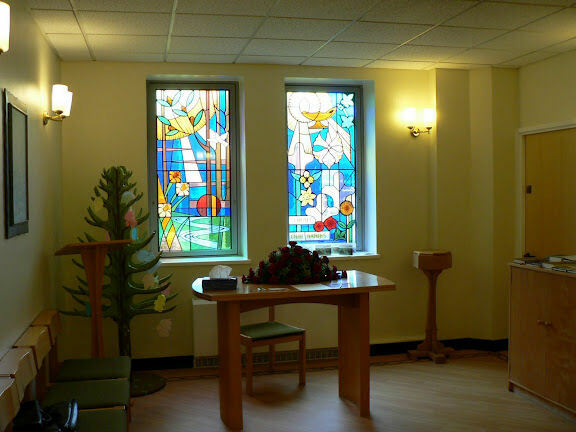 Dr Crompton added: “Successful multi-faith spaces do not need to be flashy or expensive. In many places we have found that a small, clean and largely unadorned space can serve adequately. The project team also visited 10 other countries as diverse as Germany, the United States, Switzerland and Macedonia to place the UK situation within an international context. They consist of architect and co-investigator of the project Dr Ralf Brand, sociologist Dr Chris Hewson and the Manchester Universities Chaplain Rev Dr Terry Biddington. Together they were not only interested in the motivations and processes that lead to the creation of MFS, but also best practice in design and layout, and the wider social effect of these spaces. Key findings from the project will be presented to representatives of religious organisations, academics and design practitioners at an international conference at the University of Manchester on 21 and 22 March. Findings have also been translated into a professionally curated touring exhibition, including over 300 photographs that will be launched during the conference. For further information about the project visit: www.manchester.ac.uk/mfs.